Puerto Ricans are American citizens with an interesting socio-political history of nationality. 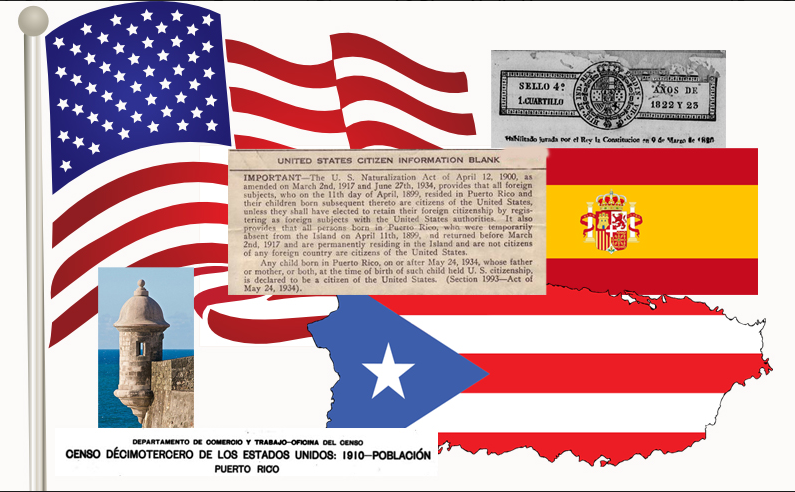 Puerto Rico was an integral part of the Spanish Colonization in the 15th century and remained under Spanish rule until the Spanish-American War of 1898. The Treaty of Paris placed Puerto Rico under American control and it is still an unincorporated territory of the United States. After the war in 1898, the name of Puerto Rico was changed to Porto Rico and remained so until 1932. In Spanish, Puerto Rico means ‘rich port’. Puerto Ricans born in Puerto Rico were under US law from 1898 until 1917 when the Jones Act made them natural-born US Citizens. Puerto Ricans who were born on the mainland of Spain or the Canary Islands had the opportunity during 1899 to 1900 to decide if they wanted to remain a citizen of Spain, or become a citizen of the United States. This document was called the Declaración de Nacionalidad and every head of the household born in Spain was required to sign, listing their family members and parents. These documents are wonderful for a genealogist because the Spanish citizen identified their birthplace in Spain. 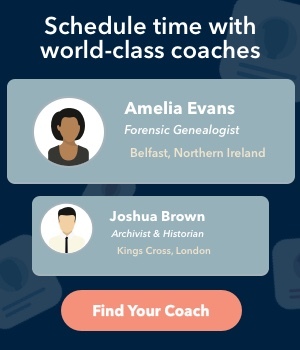 They are available at FamilySearch on microfilm. In 1932, the Puerto Rican legislature approved changing the name of Porto Rico (an Americanization of the name) back to the original spelling of Puerto Rico. When examining documents in Puerto Rico during the years between 1899 and 1932, we can see the change in spelling. After 1932, most documents will use the spelling of Puerto Rico. Vital records in Puerto Rico are styled in the Spanish format and offer hand written narratives of ancestors and their places of birth. Unlike most US documents, Puerto Rican birth documents usually list parents and grandparents. A grandparent from a different city or country is usually identified by birthplace. The Spanish phrase “natural de___” means that they were born in the city or country mentioned afterward. The Spanish phrase “vecino de ___” means that they currently live in the city or country mentioned afterward, but does not indicate that they were born in that city. Marriage and death records prior to the Americanization of the island of Puerto Rico were written in the Spanish narrative format. Unfortunately, after 1917, many cities in Puerto Rico followed the typed and shortened version of vital records.